Add a RF wireless switch anywhere. Push button for On/Off from up to 50 feet away. Battery operated and requires no wiring. 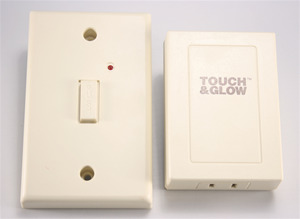 No need to cut holes, mount junction boxes or run wires. 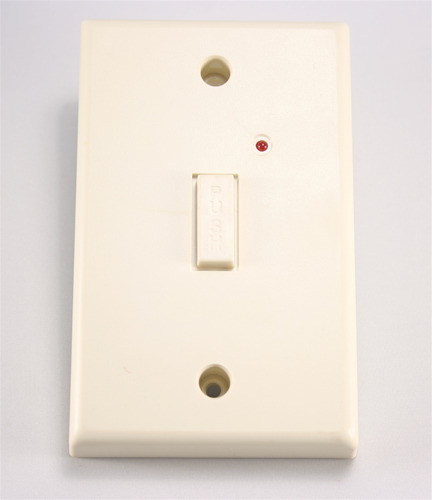 Just plug in the outlet and attach wall plate at your favorite location. Great for hallways, basements, stairways, garages or any room in the house. 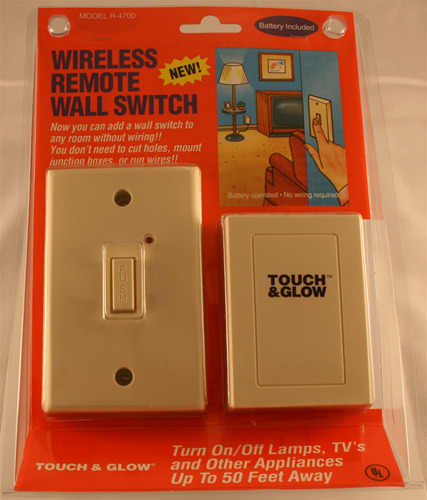 Now you can add convenience of a wall switch to any room. Just plug and play. Extra large 500 Watt capacity 120VAC.